Florida Senator Marco Rubio discussed Donald Trump comments about the Mexican judge during an interview on Monday. Rubio assured he didn’t support the Republican nominee’s comments and that he was “wrong” for stating them. The Republican candidate for the presidency, Donald Trump, has made several controversial comments about the Indiana-born Judge Gonzalo Curiel, who is currently leading a case against Trump University. Trump has assured that Judge Curiel is condemning him in a trial that isn’t supposed to be happening in the first place. Stating that the magistrate’s Mexican heritage is causing a conflict, because of Trump’s desire to built a wall between the United States and Mexico. Judge Curiel has yet to comment on Trump’s allegations, but his fellow party partner Senator Marco Rubio has issued the controversial comments, while assuring his colleague is wrong. 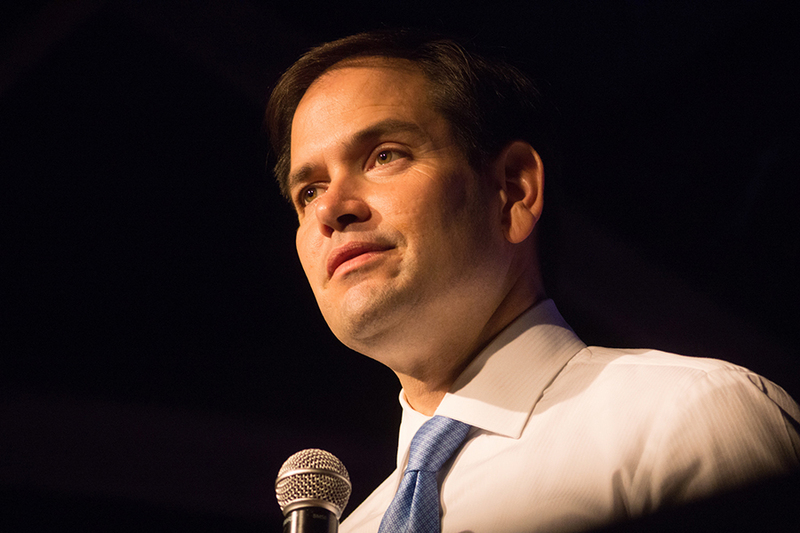 Rubio, who is a member of the Republican Party, ran for president but suspended his presidential campaign in March and had shown support for Trump’s campaign. During an interview with Channel 9’s Christopher Heath, the Florida Senator explained why he didn’t agree with fellow Republican partner Donald Trump. “I don’t defend what he says, and all I can tell you is I ran for president and I warned you this is what was going to happen. I consistently said if he became the nominee, we’d face these sorts of difficult choices we now have,” said Rubio to Channel 9 on Monday. The Florida Senator continued to discuss Trump’s comments while assuring that sort of attitude, can’t represent the American population and doesn’t help the Republican party with their relationship with Hispanics. Rubio also addressed racism in the country and legal processes, ensuring there shouldn’t be any ethnicity test to determine the type of judge that is capable of working on a case. The senator’s comments have come as a surprise to press and media since he had previously shown his support for Trump’s beliefs and behavior. Rubio even explained how he could go to the Republican convention and help Trump.